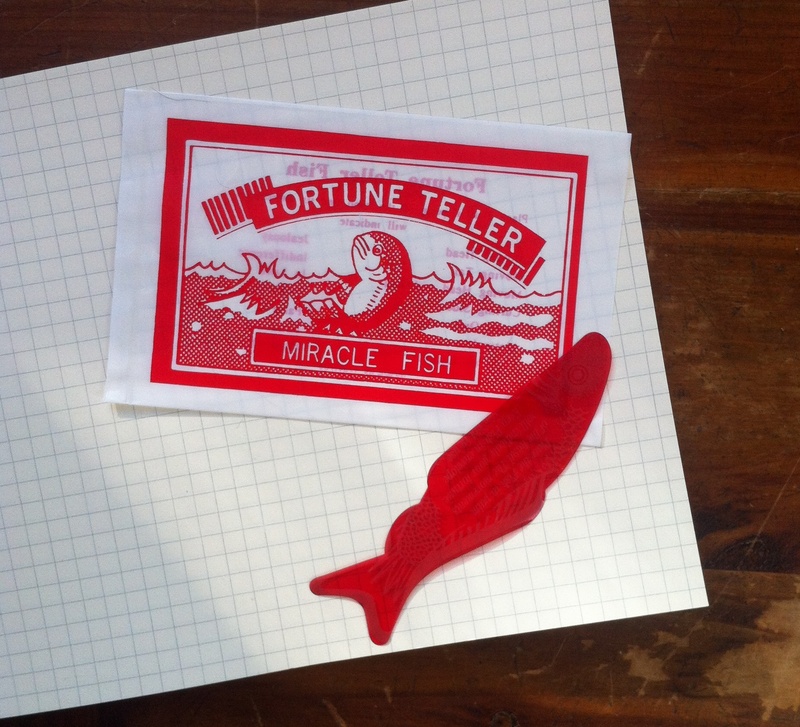 When you place an order online with us, we include this little fish to tell the tail/tale of your life’s adventures. (If you come into the shop, you can just ask Jon to look into your hand and he’ll do the same for you.) You take the fish out of the wrapper, and you place it in your hand. 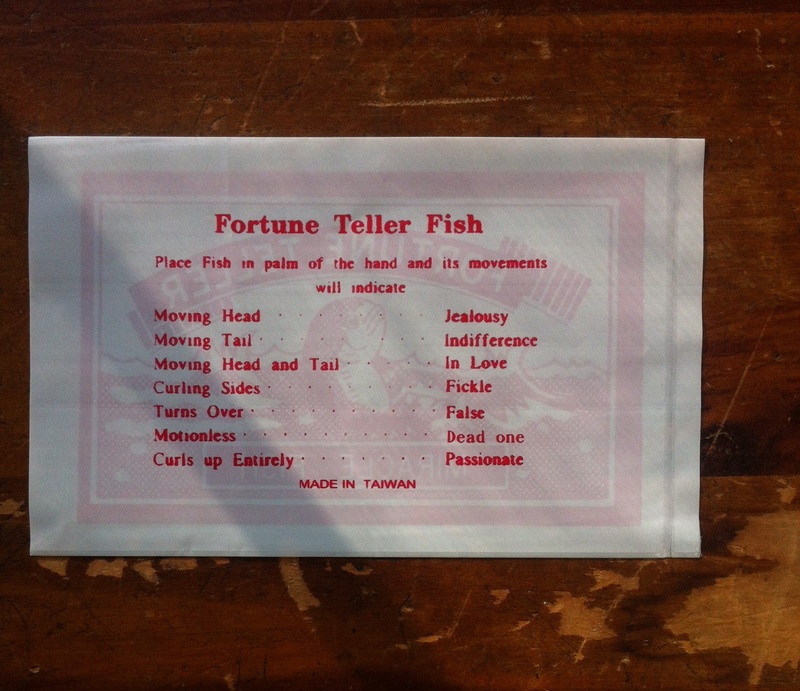 The way the fish moves around indicates your state of mind and potentially, the rest of your life – there’s a legend on the back of the wrapper. A customer (thanks, Jan!) sent us an email the other day because she had come across the original packaging of these fish! She works as a curator for the York Region District School Board’s Museum and Archives and sent me a link to a photo of the packaging. They’ve been around for over a century, and when you think about it, with their gift, these fish have probably been around since the beginning of time! The fortunes have changed a bit over time, I guess they have to spice things up every once in a while. My favourite of the original fortunes: falling off the hand indicates “intrepidity” – who took out that one?? And here! Also a guide to forming those beautiful letters (but only for righties, I guess! ).